Starting a construction business is no easy task. You’ll need financing, the right materials, and talented people to work with you. Add to that plenty of thoughtful planning, a smart business strategy, and lots of hard work. Then, you could have a good chance at launching and developing a successful construction business. Further, here are some things that you should know before you begin. RELATED ARTICLE: LOOKING FOR SOME GOOD SMALL SCALE BUSINESS OPPORTUNITIES? No business ever began without an idea and an investment. However, not everyone has lots of cash to spare for a large, uncertain investment. If that’s the case for you, try alternatives for accumulating your funds. One common method is to find investors who will invest in your idea. However, investors are not always easy to find. Alternatively, try crowdfunding or other methods. For instance, you could go into partnership with someone. Or you could request loans from your friends and family. However, a bank loan is probably not the best way to go about things. The most important part of beginning a successful construction business is having the right materials to work with. Therefore, you need to determine the sector of construction you’ll be working in. Moreover, you’ll need to decide what type of construction your firm will be doing. Accordingly, you must arrange for all the tools you will need for constructions of your chosen type. For example, groundbreaking and heavy earthwork needs the use of specialized Hitachi excavators. One of the very first things you should take care of is legally registering your company. In most areas, this means obtaining a local license or permit. This is something that is absolutely not an option. A license will permit you to deploy your machinery to use in whatever jobs your firm takes on. Additionally, you should talk to someone who has legal expertise to discuss your new company. Moreover, you’ll need insurance. While you may view insurance as an expense, it can actually save you money in the long run. For example, if any of your machinery should become damaged on the job, your insurance policy could pay to have it restored to full service. Therefore, be sure to have insurance coverage that sufficiently fulfills all your needs. Once you are ready to go to work, you will need to find the right people to work for you. Labor laws vary from country to country. For example, labor laws can be fairly relaxed in places where labor is cheap. However, they can be strictly regulated in others. You must know the local laws if you don’t want to run into trouble. Furthermore, you must understand industry standards as well. In many cases, local laws will govern those standards. Falling short of the required standards may exact a price on your company’s reputation in the local market. Moreover, it could also cost you your license. No business can be successful without a good business strategy. Your strategy should be ambitious. However, it must also take into consideration the resources you have. Therefore, have the patience to allow your progress to be gradual. That’s because rushing things can lead to mistakes. 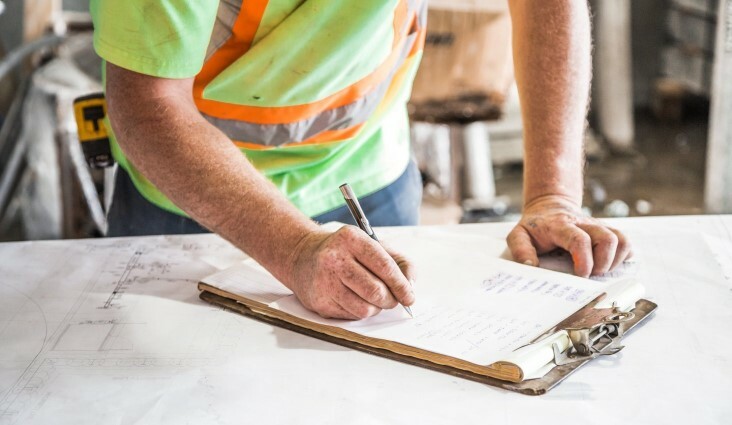 Moreover, in order to have a successful construction business, you’ll need to get a marketing team to work on your plan and help you fulfill it. The marketing team needs to be both skilled and experienced. They should understand market risks, sales psychology, and other details that affect the functioning of your company. Good marketing can either build or break an organization. Therefore, pay close attention to this part of your construction business. In order to launch a successful construction business, you will need to have a plan and lots of patience. However, one of the most important things you can do is ensure that the service you give to your customers is of the highest quality. Additionally, offer discounts and other benefits to your customers. This can help you to gain new customers and build a loyal customer base. Finally, work hard and stick to your strategy and you may one day be the proud owner of a successful construction business. Previous articleVR: How Can Your Business Use Virtual Reality in 2019?